If you pay any attention to the world of American sports cars, you likely know that the next generation of the Chevrolet Corvette will be introduced to the world on July 18th and when it arrives, this new Vette will introduce the long-awaited mid-engine design. Of course, the introduction of the C8 means the end of the C7, and Chevrolet has already announced that the final C7 Corvette will be a black Z06 and it will be auctioned off for charity. A great many “first Corvettes” have been auctioned off for charity over the past few years, with cars like the first Stingray, the first Z06 and the first ZR1 all bringing big money at auction. These cars have routinely sold for right around a million dollars, but I think that the last C7 Corvette being auctioned off for the Stephen Siller Tunnel to Towers Foundation could bring far more money. After all, this isn’t the first of many examples of a new trim level – this could be the last front-engine Corvette ever built by General Motors, making it an incredible collector’s piece. 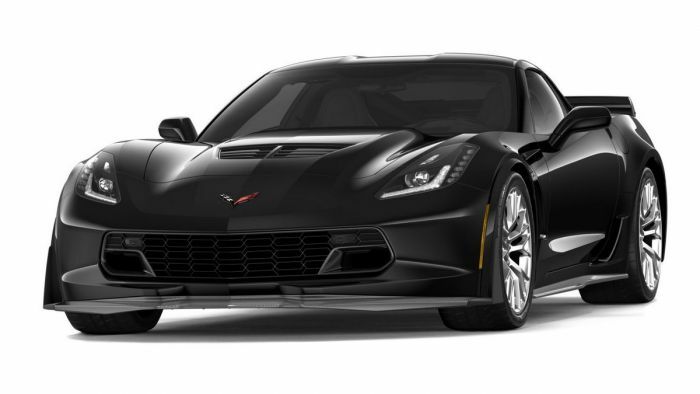 The final 2019 Chevrolet Corvette of the C7 era – and possibly the last front-engine Corvette ever built – will roll across the Barrett-Jackson auction in Connecticut on June 28th. Unfortunately, there were no further details on the final C7 Corvette, but we would bet that it will come fully-loaded with the Z07 package, the 3LZ trim and every other option. After all, the collector who pays seven-figures for this car is going to want it to be all loaded up. Realistically, the odds are good that NASCAR team owner and famed collector Rick Hendrick will be the final C7. Hendrick paid $925,000 for the first C7 ZR1, $1,000,000 for the first C7 Z06 and $1,050,000 for the first C7 Stingray, so after paying almost $3,000,000 for those “first” Corvettes, it makes sense that he would want to own the very last C7 as well. However, owning the final front-engine Corvette is surely a claim that many collectors would love to make, so Rick Hendrick could have some competition for this car. While there aren’t many collectors who can afford to drop a cool million on a new car that would cost $100,000 at the local dealership, there is no question that the final C7 will likely be a very special car in the history of the American automotive industry.